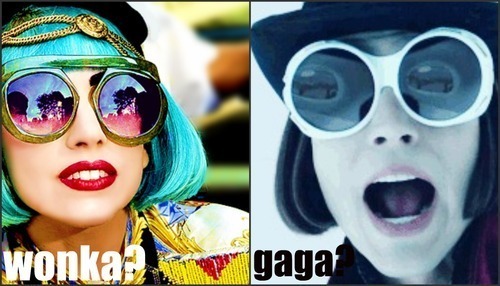 Lady Gaga/Willy Wonka. . Wallpaper and background images in the Lady Gaga club tagged: gaga lady willy wonka funny similar johnny depp movie lol.